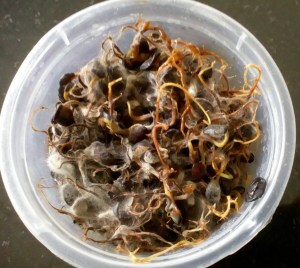 Germinated horsegram seedlings were infected with cottony white mold mass. 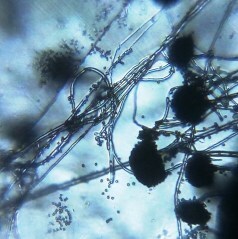 There are many possible types of fungi or slime mould could cause the infection. 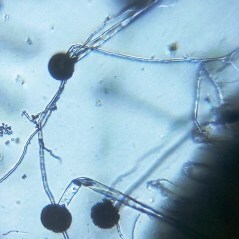 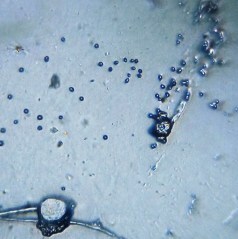 Fungal mycelia and spores were observed under foldscope by taking small cottony scrap. 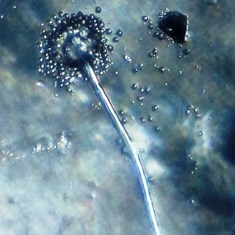 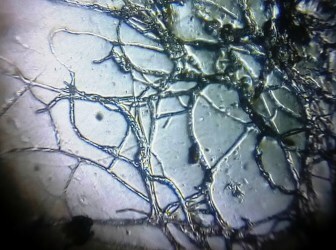 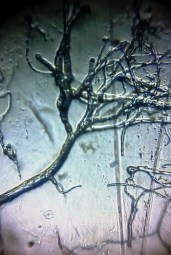 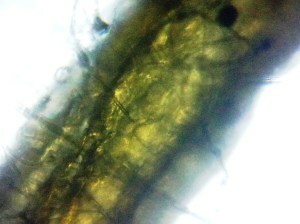 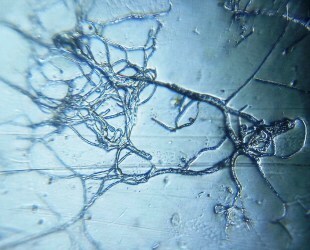 Mycelium was grown inside the radicle part of seedling also.